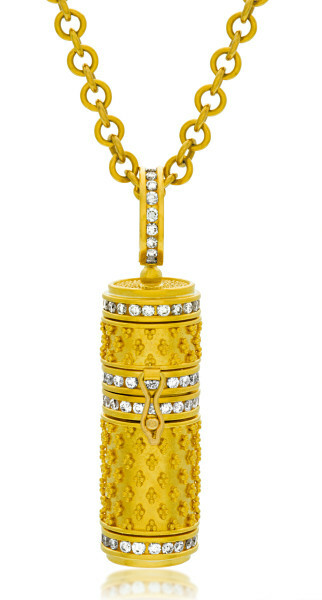 22k gold Treasure Box pendant with approximately 2.36 ctw diamonds. This piece opens allowing you to hide your special treasure inside. It is shown hanging on our 22k gold hand-made Petite Link Chain with a length of 22″.